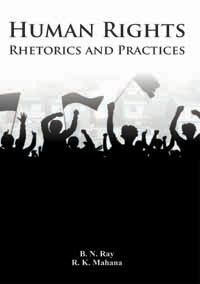 The promise of the book is that this is not so and that – what is more – there is a need to stern the deluge of ideas about human rights with a broad stocktaking intervention that both reassesses the stock of the debate and makes a series of evaluative arguments about which ideas have greater or lesser value. The book neither claims nor sought to provide a central guide to the human rights literature but it does confine its critical engagement to identification of potential strengths and weaknesses with concepts and thinkers. As it is appropriate for those kinds of texts, it does not adopt a certain overarching position nor develop an overarching argument. The book guides the reader through the key arguments of leading thinkers, explaining their place in the wider human rights debate and evaluating their critical reception. The book ends with a concluding chapter that examines how thinking about human rights in likely to develop in future. Prof. B. N. Ray, Senior Professor and Director, Research, in KISS University, Bhubaneswar. He has been a Fellow at the University of Toronto, Canada. Prior to that he has taught more than four decades in University of Delhi and Pondicherry University. Dr. Rajakishor Mahana Head of the Department of Anthropology and Coordinator of the Department of Tribal Legal Studies and Tribal Rights at KISS University, Bhubaneswar. Research articles have been published in national and international journals and edited books. His recent articles are published in Poverty & Inequality in Middle Income Countries (Zed Books) Transforming Gender and Food Security in the Global South (Routledge) and Swaraj and the Reluctant state (Aakar Books).